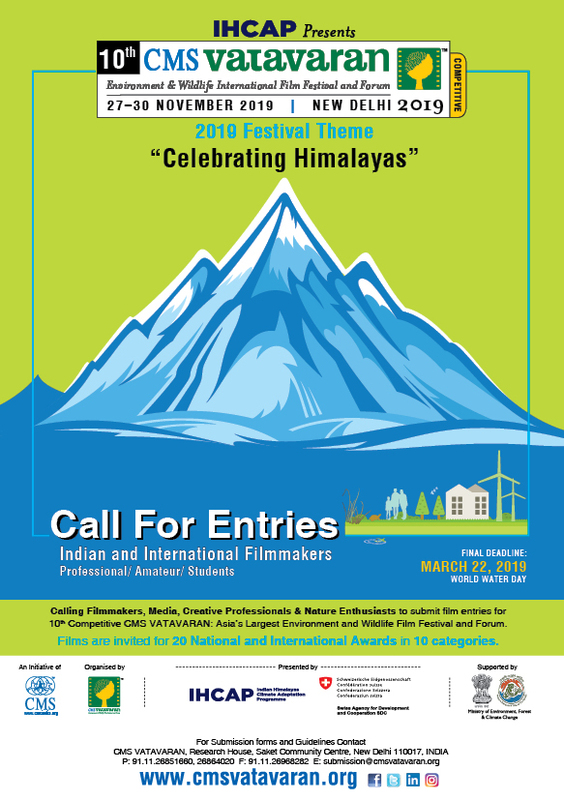 CMS VATAVARAN announces its call for entries for the 10th CMS VATAVARAN Environment & Wildlife International Film Festival and Forum to be held in New Delhi in November 2019. The bi-annual film festival and forum addresses contemporary environment and wildlife issues through the medium of films, forums, workshops, field visits, food festival, nature bazaar, etc. CMS VATAVARAN has also introduced the School Student, Amateur & Youth Film category to encourage young and budding filmmakers from schools and colleges to produce films on contemporary environment and wildlife issues. Films entered will compete in the above mentioned categories, out of which 20 awards in Indian & International section will be selected. All the films will be evaluated on the basis of their ability to communicate the theme through compelling storytelling.